With a mobile phone in every pocket and more computers than people in many homes, it’s no wonder so many real estate professionals turn to online marketing. But that doesn’t mean we should skip the basics! 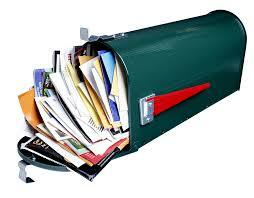 Direct mailing can still be an effective marketing tool, when used effectively. As a real estate professional, you are continually asking prospects for information. You want contact information to follow up with them, information about their current living situation, and their plans on future moves. Collecting, processing, and using that information is a large part of client development. Though not designed for Realtors, Facebook receives much of that same information. 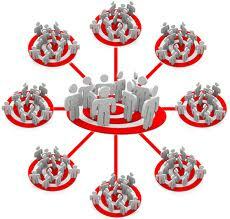 As users search, comment, and post, they are revealing information about what they want and what their plans are. Facebook has launched a new form of targeted advertising designed with Realtors in mind and drawing on that vast database of information. Now, when you decide to sponsor an ad on Facebook, you can pick your audience very carefully. To begin, you can easily target a certain age range, gender, and locality, but basing your target audience on behavior opens so many more opportunities. Browsing through the “behaviors” menu will give you the option of selecting a “residential profile.” Facebook has categorized its users into those who are likely to move in the near future, those who have recently moved, and those who are homeowners. The source is all publicly available data and consumer reported data, but the idea that you can target that specifically can drastically change the way real estate agents reach people on Facebook. The benefits are not limited to residential real estate professionals. Your ad can display to small business owners, investors, or even those whose homeowners’ insurance is due to expire at a certain time. For those who work with rental properties, you can find people who travel often and may be interested in a short term rental option. In addition to behavior, explore Facebook’s new demographic options. You’ll find a “Home” tab that allows you to target those in either single-family or multi-family homes, are current renters or homeowners, or even have homes valued within a certain price range. What’s more, you can create separate advertisements for different home compositions. If you have a campaign targeted to senior friendly living, target those homes with grandparents. Create a separate campaign for young adults, and another one for those who have small children. You can create as specific an audience as you’d like, then provide content that is valuable to those groups. With all the campaigns you likely have running and selling points you use for different demographics, Facebook’s newly adapted targeted ad program can simplify a real estate professional’s work tremendously. Making a home appealing to buyers despite the summer heat and potentially wilting wildlife can be a difficult task, but there are several strategies you can use to keep your home’s best summer face on. Despite the fact that heat and dryness is not conducive to a thriving garden, buyers still expect to see a world of colors. Replant any wilting flowers so the exterior flows with life. Additionally, since weeds seem to have no trouble with the heat, make sure the garden is regularly treated for these pests. 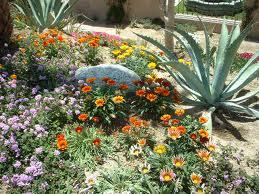 It may be necessary to increase the amount of watering that the garden areas get in order to thrive. One of the great experiences of summer time is gathering together with friends and indulging in a summer barbeque. 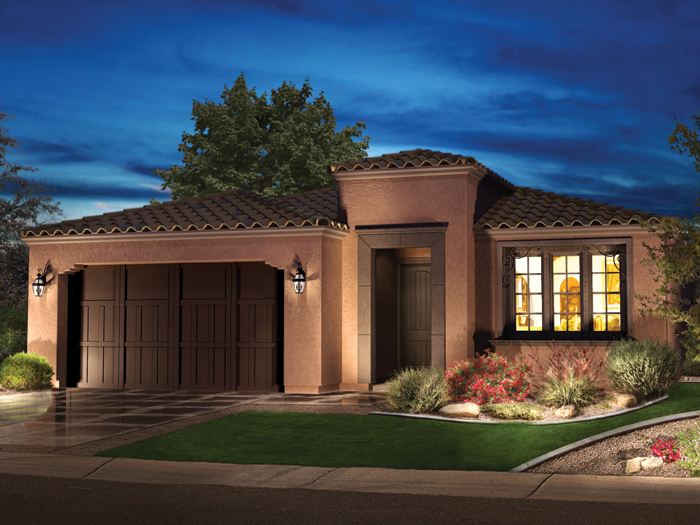 You can help buyers envision this experience by staging an entire outdoor eating area. Consider setting the table, adding flowers, and positioning chairs, just like you would do in the dining room. If you have a grill, make sure it’s clean, then adorn it with all the implements that would be needed to enjoy it like spatulas and tongs. One of the biggest considerations in a summer showing is the interior temperature. If it’s too cold, buyers will be shivering as they tour the rooms. Too hot and they’ll sweat through the process. Make sure you test the temperature before your agent brings buyers through. Additionally, if there are ceiling fans, turn them on so the air circulates throughout the house. Summer is a bright, colorful time. The colors inside the home should reflect that. 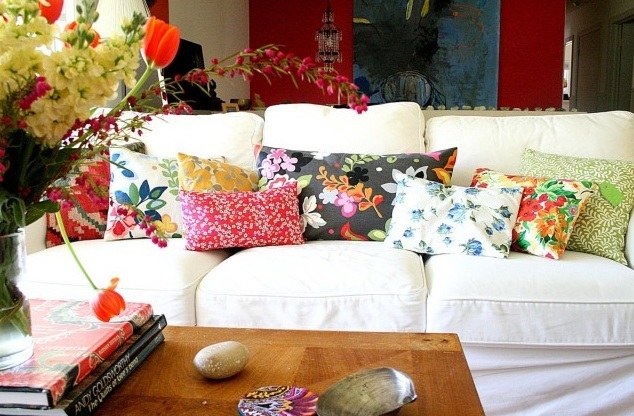 While you’ll want to keep paint more neutral, you can incorporate summer colors in the ambience by adding throw pillows and light blankets. Additionally, bring plants indoors to add a natural color. One effect of summer heat is that odors can be more powerful. Bringing in flowers and maintaining them can help create a positive smell. To reduce negative smells, keep all trash in outdoor bins rather than inside. Additionally, you can reduce indoor smells by keeping the air conditioner running throughout the day. 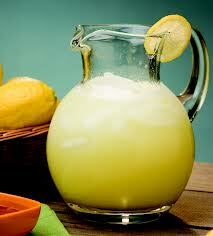 Finally, to make buyers more relaxed and feel at home, offer cold lemonade and fresh fruit in the kitchen. It will definitely put buyers in a positive mood. You may want to try offering slices of oranges specifically. Some studies have shown that the smell of oranges encourages people to be more willing to make purchases, and the powerful citric smell will help make the area smell beautiful. Location, location, location, is certainly number one on most buyers list of priorities, but coming a close second is curb appeal. You want your seller’s home so awesome that cars are literally stopping as they drive by to see how such an amazing home is for sale. Of course, it’s not financially sound to suggest a full remodel, but some tastefully arranged flowers — either in the ground or in pots — can make a huge difference. Yet as almost every real estate agent knows, clients need more guidance to create more than a monotone row of daisies. Colors, textures, and styles need to combine to create a fantastic feel. So what directions can you give that are simple to follow yet effective in curb appeal? Ask the typical person for some types of flowers, and you’re likely to hear roses, daisies, tulips, and maybe one or two more. Very few of your clients will factor in the fact that different flowers bloom during different seasons, and even fewer will think about how easy or difficult it will be to grow each flower type in your area’s soil. Rather than creating a new recommendation with every client, consider making a series of lists that you can pass on to clients depending on the season. Telling your clients what flowers to ask for is a great first step. Remember that color wheel we played with in art class? 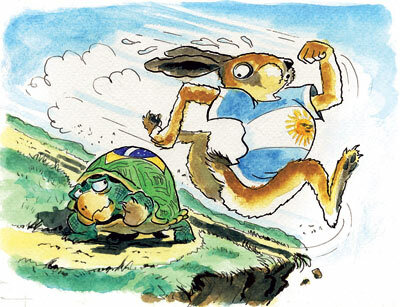 It may be time to break that out again. Even if your client is going with one type of flower, there is a wide variety of colors to choose from. The simplest suggestion may be to pick a color that matches the home’s exterior and go with that same color in different hues. However, a more striking suggestion may be to choose a contrasting color. The color wheel makes it easy to pair the exterior color with the opposite shade, making the flowers stand out. The final touch to the flower bed is a crisp, clean look. A great way to get this is by adding layers of mulch which will not only look professional, but will also help the flowers grow more strongly. For those clients willing to go above and beyond, you may even want to suggest lining the flower bed with polished stones or at least running a garden spade along rims to create an edging. Empty walls and vacant spaces in the lawn can draw the eye, but not normally in a positive way. 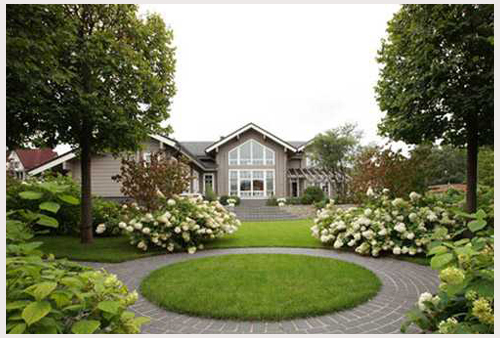 If there are wide expanses in view of the street, your clients may need a push toward using bushes and shrubs. Planting these requires extra work, so not all clients will be willing, but it’s a good option to have if you find yourself with an industrious client. Keep the option to reseed or use new grass in your back pocket as well. Some lawns just need a little extra work to avoid the bare, lifeless look. What’s wonderful about these changes is that they can be prepped ahead of time so inspiring your client with Flower Power takes very little additional effort. Once you have the flower suggestions and color decisions written, you can have a flyer or email ready to be sent at the drop of a hat. You can personalize with a word or two, but for the most part, you are set with the tools to quickly and easily get your client’s home in a more sell-ready state. Although LinkedIn is a professional site people use to find job opportunities and showcase their professional talents, it can also be a powerful tool for companies looking for leads and new clients. Despite the fact that it is not number one in social media population, LinkedIn users represent a sizable portion of educated, employed adults. It has over 43 million members and representation from every single one of the Fortune 500 Companies. Though most of these members do not use LinkedIn daily, each month, the site receives more than 10.5 million unique visitors from the US alone. For real estate professionals, your personal LinkedIn page is a powerful tool. More than maybe any other industry, your reputation is tied to you personally rather than the company for whom you work. 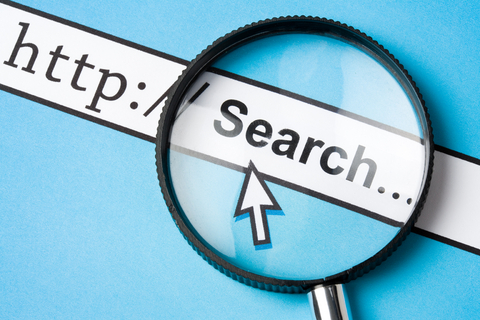 Accordingly, before deciding to work with an agent, leads often search online for information on you personally. Take a moment and Google your name and area. More than likely, LinkedIn is the very first link that pops up. Your page should be professional and attractive to clients as well as employers. How do you accomplish this? Start with testimonials. You probably already showcase them on your website, but use them on LinkedIn as well. You can ask clients for endorsements and recommendations to get even more. From there, incorporate the professional content you’re already posting. If you have a blog, use one of the LinkedIn apps to connect to it. Provide links to presentations and news stories you create or are a part of. This content will give leads a reason to stay on your profile and provide you with keywords that make it easier for leads to find you. The more avenues people have for accessing your profile rather than a competitors, the more of an online advantage you have. The content you write about you and your business should be short and sweet. Leads are likely to scan through your information rather than reading it in depth, so the sentences should be written to be easily understood and remembered even without too much thought. If you have awards, list them, and give a brief explanation of how you earned them. Your history is important. Not only does it demonstrate your qualifications, it also creates more opportunity to make personal connections. Something as simple as being an alum of the same college as a lead can make you seem more relatable and approachable. If you have work experience with a company the lead has a positive opinion of, his opinion of you is likely to be more positive as well. Don’t forget the photo! It humanizes you, turning you from some distant real estate machine to a person who will care about the lead’s property. Use a photo that is similar to the headshot on your website and other locations to increase the interconnectivity of your online presence. Despite the initial cost of sending direct mail, studies consistently show that direct mail is far more cost effective than any other marketing channel when reaching out to the customer. 62% of consumers actually enjoy getting mail telling them about new opportunities, and 77% enjoy receiving a special offer in the mail. 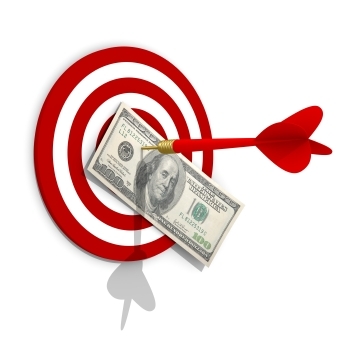 The return on investment is, on average, 30 times higher for direct mail than email. All great reasons to be consistently using direct mail! A picture is worth 1,000 words, so think of all the time you’d save if you were able to rely more on pictures for your marketing. What’s more, Pinterest is most frequently visited by women in their 20’s and 30’s, making it the perfect site to reach first time home buyers. Yet with the incredible number of photos online, how do you make yours stand apart from the din? 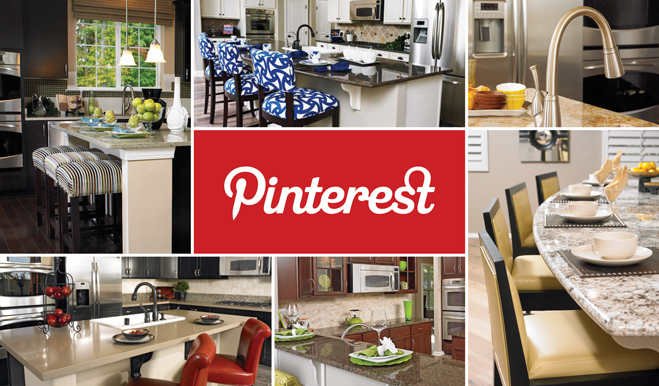 A large number of pinterest users are using this site to get ideas for how to improve a project they’re working on or a facet of their home. With that in mind, posting home-improvement tips, ideas for decoration, or DIY instructions all tend to be well received. This can be targeted to homeowners, home sellers, or as a guide to how to personalize a new home. While you don’t want to blog on Pinterest, you can create a system in which your blog and your Pins feed off one another. When you create a new blog post, include an eye-catching image. Add that image to Pinterest, along with a link to your blog and a brief description of what your post will offer. You can drive more people to your site through Pinterest by providing more and more content and quality with each click. Listing photos are some of the most important images with which real estate professionals work. Because Pinterest allows you to make separate boards for different topics, you can easily give each listing their own board. However, you may want to consider other ways to pique buyers interests. Perhaps create boards based on amenities. If a buyer is focused on finding a home with a large yard, he may appreciate coming across your “Backyard board” where you showcase the yards of all your listings, and he can click one he loves to find additional info about the home. Pinterest encourages you to add locations to your post, making it easy to search images based on area. Because you have a lot of insight into specific neighborhoods, you can create different boards for each one. Posting community events, incredible home photos, and special treats like Christmas decorations throughout the neighborhood can let a buyer fall in love with an area before he even starts looking for a specific home. Your boards are meant to reflect your passions and your life. While many of the boards you use for your business should be meant to specifically help leads, adding a touch of your own personality can engender trust and create personal connections. Create a board or two that reflects what you do in your off time. You don’t need to post any personal photos, but instead, repin a few pictures related to your hobbies. The real estate agent’s toolbox of marketing ideas and lead creation and conversion tactics seems to be overflowing. Social media has opened so many doors for instantly and meaningfully connecting with buyers and sellers, that it may seem all you have to do to be effective is get online. 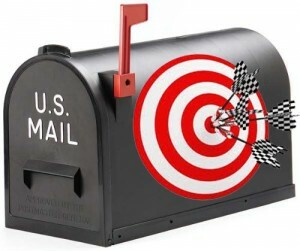 Couple that with email marketing, and maybe you’re ready to leave the “snail mail” in the past. Before you say goodbye to your stamps, real estate professionals should consider some surprising studies that have have recently been conducted on direct mail marketing. In several surveys, customers age 18-34 said they overwhlemingly prefer to learn about marketing offers via postal mail than online. This preference is backed up by the fact that the highest return on investment for customer acquisition is consistently direct mail. Why do we see this trend despite the apparently ease of accessing email? It’s the science! A study performed at the Centre for Experimental Consumer Psychology at Bangor University showed that there is actually a difference in perception when a consumer holds a piece of paper versus reading the same information on a screen. Just the act of holding a physical material naturally elicits a stronger emotional response in the brain. Researchers determined this response is due to the brain perceiving paper as more “real” than online material. The object is tied in more strongly with memory and emotional centers of the brain, making important connections and beginning to perceive a relationship between the advertised brand and the customer. Researchers say these connections are a crucial first step in brand recognition and trust. So what does this mean for real estate professionals? The internet is an excellent place for providing detailed information and furthering relationships, but in terms of starting a new relationship, direct mail and/or in person meetings are essential. Without something to hold, look at, and process, leads are likely to not only fail to follow up on the call to action, but actually forget the message and brand in a shorter amount of time. The key seems to be an integration of online and offline marketing techniques. In each direct mailing, your call to action can send your leads online. You can also include a QR code to make it easy for leads to access more information from their mobile phone. Consider promising specific things you will send via email in the upcoming week. A marketing strategy that employs the neuroscience of direct mail and the convenience of email is more likely to provoke a response and turn those hesitant leads into clients. YouTube was acquired by Google in 2006. Since then, YouTube videos have been a large factor in determining Google rankings. Sites that showcase YouTube videos that are relevant to the content are more easily found by Google searches. 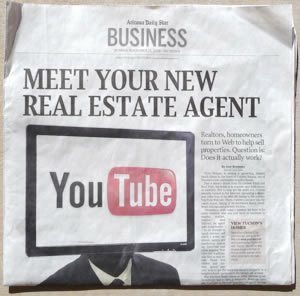 This means posting and linking to these videos gives you an online advantage over other real estate professionals. Videos present an opportunity to go in depth about topics and ideas that are difficult to discuss in writing. This can include tours of homes, neighborhood descriptions, and staff introductions. It is far more powerful to show the beautiful vistas and landscaping of an area than to recite a list of facts. 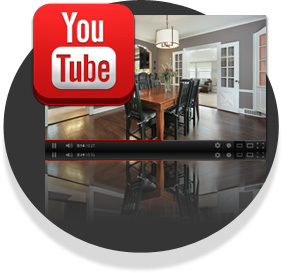 You can also provide value to your leads by creating visual home listings and how-to videos. Videos can be an especially great tool for people who are looking to relocate. Choosing a neighborhood and housing style can be an overwhelming experience for those who haven’t even visited the area. Providing video tours can make the transition easier and allow them to relate more easily to you. The most effective websites incorporate video to establish yourself as an expert in the field and provide value to your clients. YouTube provides a fantastic platform to share these videos, so use them to link back to your website.